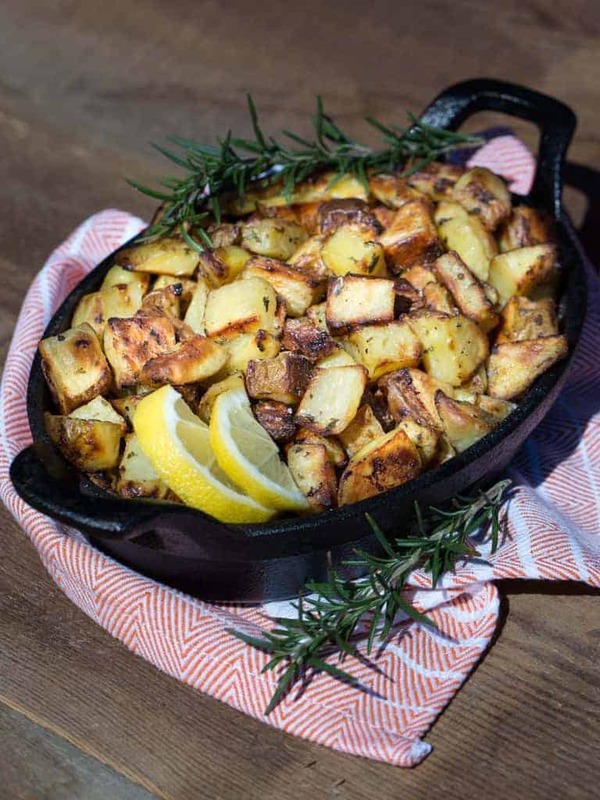 Flavors of lemon, rosemary with a hint of garlic and crushed pepper come together to create these delicious and easy to make Roasted Lemon Rosemary Potatoes. Making this side dish is quick and easy and would make a great addition to a fancy feast or a casual week night dinner. It’s so easy all you have to do is chop your potatoes, toss them in a sauce made with a few simple ingredients and then roast on a large cookie sheet in your oven. The lemon flavor is infused within the sauce by adding fresh lemon juice and lemon zest, which adds an extra punch of flavor. Using fresh rosemary is best and it’s also a good idea to chop your rosemary into small pieces so you get a nice mellow flavor throughout the dish. If you have any leftover Roasted Lemon Rosemary Potatoes they can be made into a unique and yummy potato salad. In a large bowl add all ingredients except potatoes. Whisk until blended well. Add your potatoes, toss until completely coated. Place on prepared cookies sheet and bake for 25 minutes. Stir potatoes, flipping to other side. Bake for 20 more minutes or until golden brown and crisp. Serve immediately, garnish with lemon or a fresh sprig of rosemary.